There are few things as satisfying as hearing your own music on the radio, and getting airplay on a major station can do wonders for your career. Online playlists and social media may be changing the game but radio broadcasting is still one of the cornerstones of the music industry. Interested in getting your music played on the radio? This is how. It’s never easy for unsigned acts to get on the radio but it’s not impossible. As with many other aspects of the music industry (and life! ), it’s about patiently working your way up. 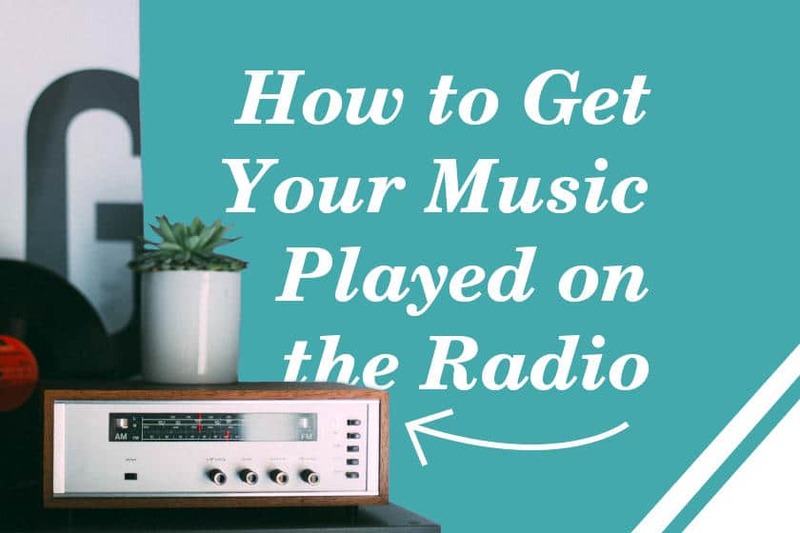 Starting out with smaller radio stations will gain you the experience and exposure you need to hear your songs on one of the mainstream broadcasters. Do I need a plugger? Radio pluggers are PR professionals who specialise in pushing their clients’ music to radio stations. They know how to do it and they have the right contacts. Unfortunately, they will likely be promoting their broad database of clients simultaneously. Self-promotion is cheaper and — if you take time to learn — may be equally effective. Do your research and identify the right stations for you: if you’re a hip-hop artist, approaching a rock radio station won’t do you much good! The first step is to figure out which stations to approach, and the second is to learn the best ways to approach them. It might seem that smaller radio stations and non-commercial broadcasters are a waste of time in comparison to the huge, mainstream stations and their massive reach, but this is not simply a numbers game. Reaching the right audience is much more important. And let’s be realistic: you won’t get your next track straight onto BBC Radio 6. In fact, as a budding musician you will struggle to get your songs to any large public or commercial radio stations. Luckily, there are plenty of smaller, non-commercial stations which have much more flexibility when it comes to creating their playlists. Thanks to the Internet, making waves in the music industry is not limited to FM radio broadcasters. Online, independent radio stations tend to be much more innovative than the bigger players; they’re always on the lookout for original content, so you this is a good place to start focusing your attention. And don’t forget campus radio stations: even if you’re not a student, they can be very important as they can offer you access to a young, open-minded audience who often love listening to live music, once something has caught their attention on the radio. Sending your music in the correct format is absolutely crucial. Respect your recipients and check their websites for any submission guidelines. Many radio stations still prefer to receive CDs rather than emails. This is a great opportunity to make an impression with good design and branding. Make your CD look as professional as possible and remember to include a personalised letter. Additional materials may include stickers, flyers, or dates of your upcoming gigs. At the same time as sending your CD, send an email stating that a CD will soon arrive in the post. Include your EPK (electronic press kit) and don’t forget any of the crucial information that you put in your letter. Never attach your track as an MP3 — it clogs up the recipient’s inbox. Use a download link to a service that also streams the music (like Dropbox), and/or a link to Spotify or Apple Play. Always follow up first with an email, then with a phone call. You might also try tweeting your recipients — whatever you do, be polite and upbeat. And, don’t get discouraged if you get rejected. There’s a huge number of acts competing for airtime. If you find a radio station that’s a really good match for your latest track, offer them an exclusive release. This way, the station has the incentive of playing something fresh before it’s been promoted elsewhere. Remember that if somebody doesn’t end up playing your music straight away it’s not necessarily a wasted effort. Over time you will build a relationship with them — nurture these connections (but don’t get spammy!) and wait for the right track to spark their attention. Combine great music with great networking and, with time, you’re guaranteed to hear your songs over the airwaves. Make a spreadsheet with all the relevant radio stations, contact names and their details. Prepare your CDs (printed label, packed in a plastic wallet with an info sticker). Pack your CDs in envelopes with personalised letters and additional materials. Send out your CDs at the same time as emails (make your track available with a streaming link, include your EPK (electronic press kit) and tell your contacts that a CD is coming in the post). Follow up after one week: first with another email, then with a phone call. Don’t burn bridges: if your contacts don’t use your track, thank them for their time and say you’ll be in touch with your next release. Did you find this article helpful? Spread the word using our share buttons below and subscribe to our newsletter. Effective Breathing Exercises for Singers!